The Giant Dipper’s Eighty-fifth birthday! 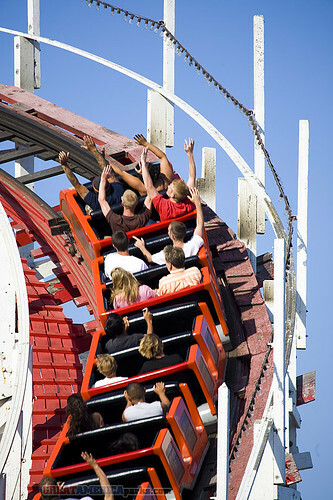 Our favorite seaside gem of a wooden coaster celebrates its eighty-fifth birthday on Sunday, May 17th. What better excuse do you need to head over to Santa Cruz and take some celebratory rides? The weekend of the 16th and 17th is the Boardwalk’s Season Kickoff Event. You can enjoy free entertainment with skydivers landing on the beach and the Tubes performing in concert on Saturday only. On both Saturday and Sunday you can catch free performances of Cirque Magnifique. The special event schedule is as follows.